Plus wrapping which didn't really work out, I actually just bought nice designed paper (oopps), though it was keeping in theme. It was an intense three days, and to be honest I loved being that productive. 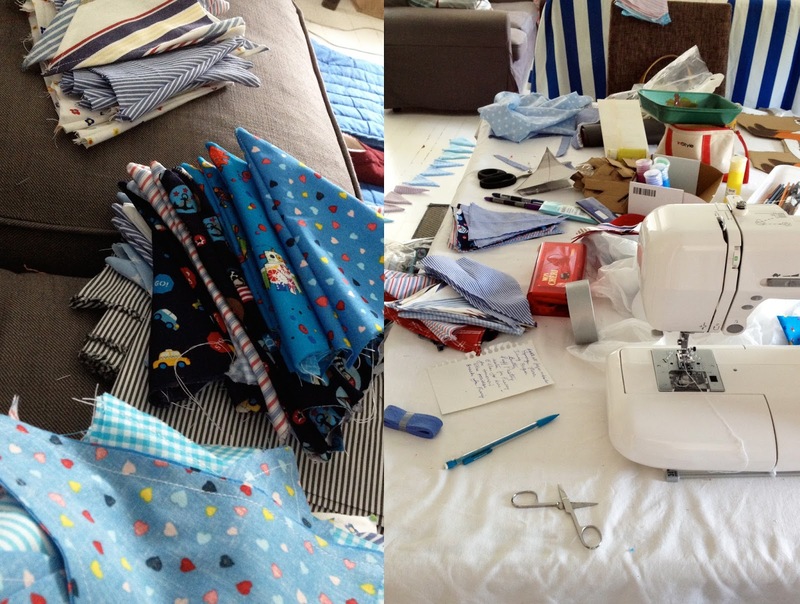 It was great to really get stuck into a project and to have more than just an hour (when Finn naps) to do something. The bunting has to be credited to Gaga she was the main one slaving for hours to get it ready (there was a lot to do). It made the place look lovely and now the plan is to use the bunting as decoration for Finn's room, which reminds me that still needs to go up (I'll show pics when that goes up). 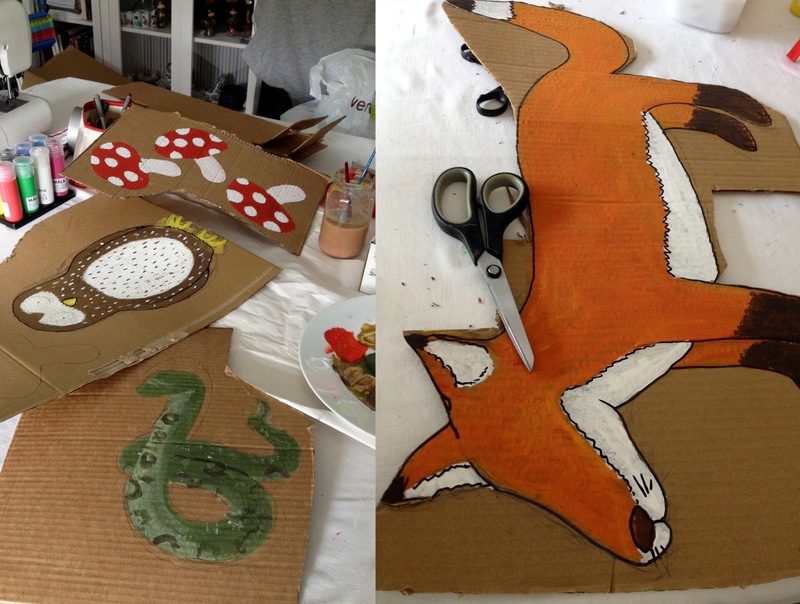 The woodland animals were great fun to paint and worked perfectly painted on cardboard. I wanted them to go on sticks in the garden (instead they were placed around the room) but then again I can always do that later when Finny would appreciate it more. The letter bunting was hand drawn, and again made great use of the old cardboard boxes. Putting them up was a bit of a nightmare (not enough ribbon) and getting them to stay up was even worse, but they did look good against the plain wall. 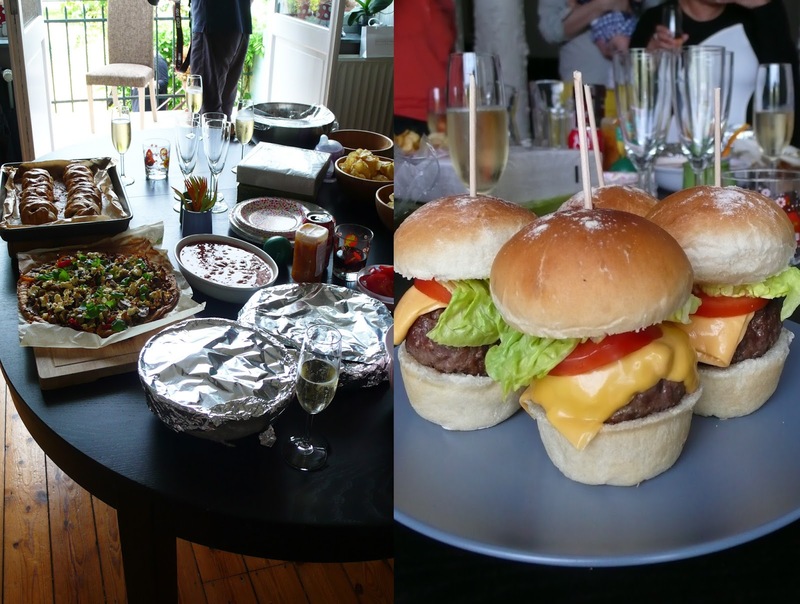 Lastly the food (sausage plait, couscous salad, vegetable tart, etc) went down very well, especially the amazing bread rolls/burgers by Fafa (my dad). 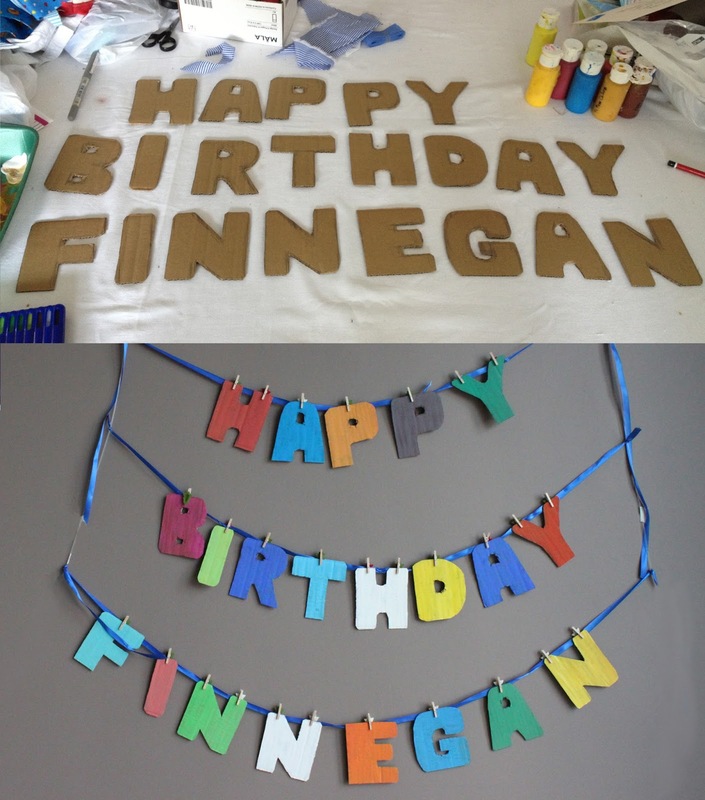 I can't wait for the next birthday now...already have loads of ideas! 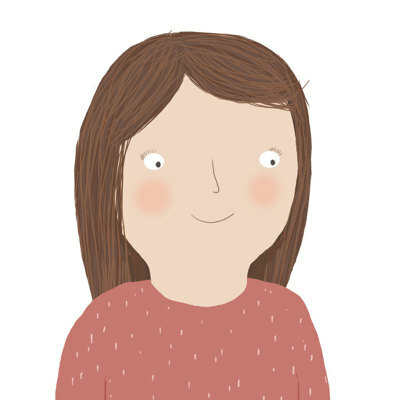 Hi I'm Tahra, an illustrator/designer, mama of two and an expat living in Brussels. Here is an insight into our family life abroad with a few illustrations thrown in for good measure. Also please check out my tumblr! .....and if you could ask me before taking my images I would be most grateful!